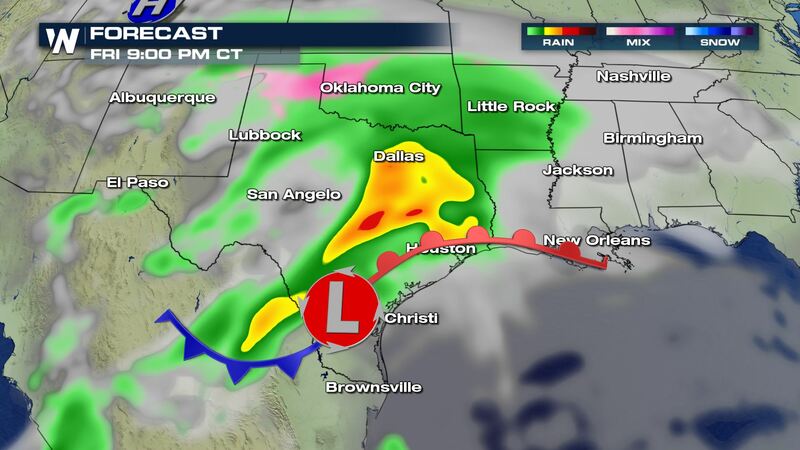 A low pressure system associated with a large upper-level trough sweeping across the Nation, will bring strong storms and heavy rain to the Lone Star State by Friday. Some areas down in Central Texas could see over 5 inches of rainfall when all is said and done. 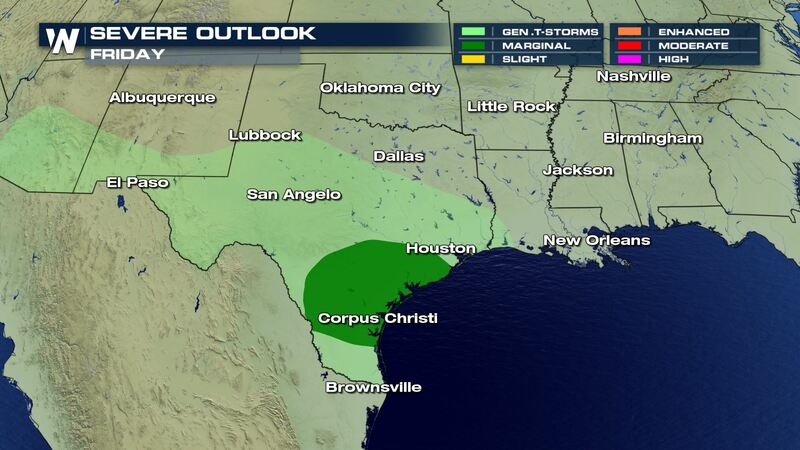 Severe storms will be possible down in areas like San Antonio and Corpus Christi. Damaging winds will likely be the main weather risk (along with heavy rain), but large hail and tornadoes can’t be ruled out at this point. Rain and storms should start by Thursday and the severe risk enters the forecast for Friday afternoon and evening. 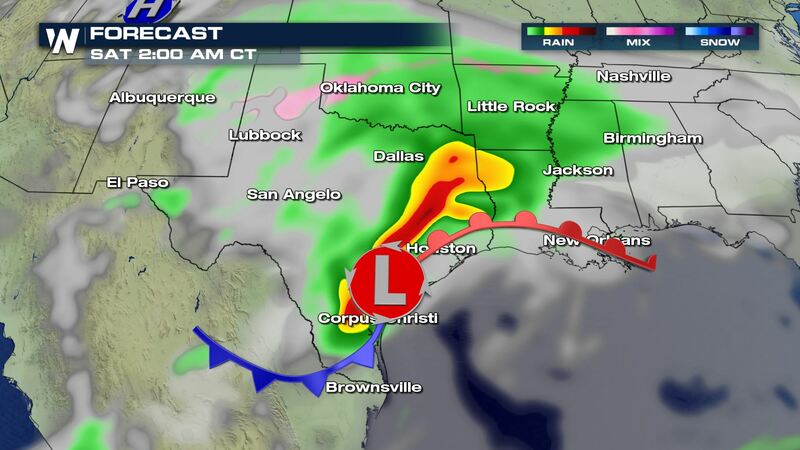 You can see this particular forecast model is showing some intense storms to end the week. 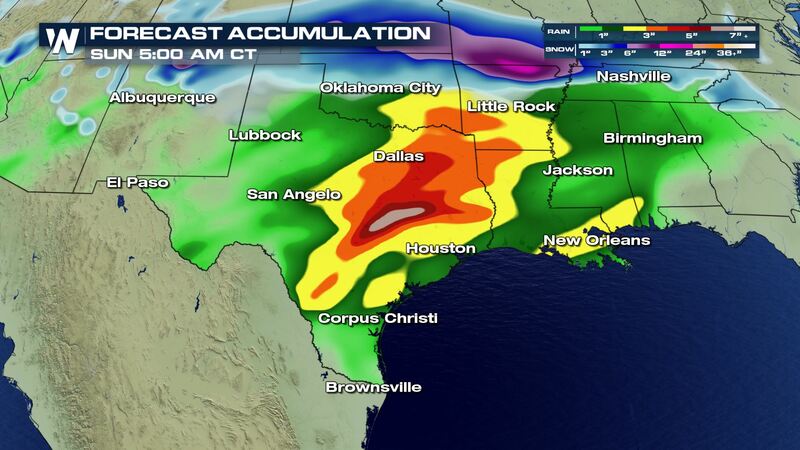 Check out the latest accumulation forecast across Texas and Louisiana. 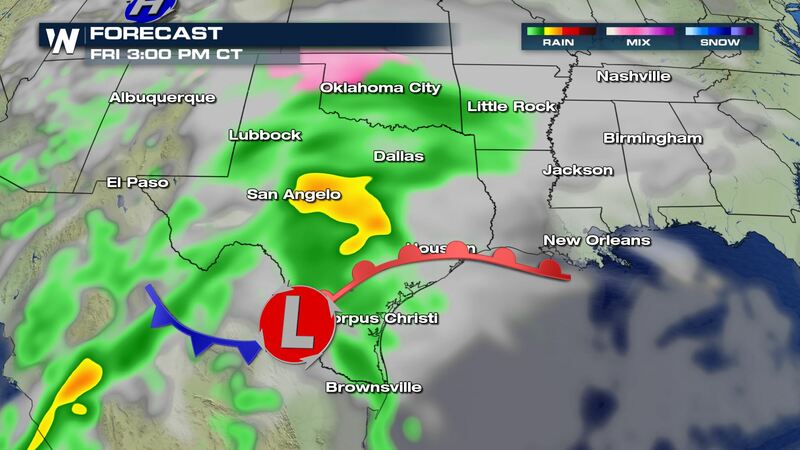 Some areas could be in the 5-10″ range through Sunday.